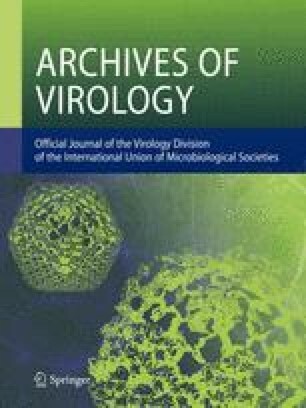 Tropical iridovirus infection causes severe epizootic resulting in mass mortalities and large economic losses in freshwater ornamental fishes cultured in Southeast Asian countries, in wild fish seedlings captured in South China Sea, and in marine fishes farmed in Japan, Singapore, and Thailand. All of tropical iridovirus-infected fishes histopathologically showed the systemic formation of inclusion body-bearing cells and necrosis of virus-infected splenocytes and hematopoietic cells. We designed primer sets for the ATPase gene and the major capsid protein (MCP) gene and sequenced the PCR products derived from 5 iridovirus isolates from sea bass in South China Sea, red sea bream in Japan, brown-spotted grouper with a grouper sleepy disease in Thailand, dwarf gourami from Malaysia and African lampeye from Sumatra Island, Indonesia. The ATPase gene and the MCP gene of these 5 viral isolates were highly homologous (> 95.8%, > 94.9% identity, respectively) and the deduced amino acid sequences of the ATPase and the MCP were also highly identical (> 98.1%, > 97.2% identity, respectively). Based on the high homology, these 5 isolates of tropical iridovirus from various fishes in geographically different regions were determined to have a single origin and to be native to Southeast Asian regions. However, these sequences were far different from those of members of the genera Ranavirus, Lymphocystivirus and Iridovirus in the Family Iridoviridae. We propose a new genus “Tropivirus” for tropical iridovirus in the Family Iridoviridae.